Imagine a life without light. It’s a daily reality for 1.1 billion people globally, half of whom reside on the African continent. The Little Sun Foundation is working to change this — starting in Rwanda, where the organisation brings solar light to thousands of school children. Rwanda, an East-African country of 12 million inhabitants, is recognised around the world for its natural beauty and wildlife, its booming coffee industry, and its accompanying rapid transition from a low-income to a middle-income economy. The capital and beating heart of the country, Kigali, has an emerging start-up scene. Its streets are astonishingly clean and well-kept, thanks to the local tradition of Umuganda — a designated day every month in which the entire population gathers to clean the streets together. At 64%, Rwanda has the highest level of female representation in parliament in the world — well ahead of countries like Sweden and Finland. Despite this progress in so many areas of life, one in five Rwandans still have no access to grid electricity. The Rwandan government has set a target of 100% access to electricity by 2020. In reality, however, the country is constrained by a number of challenges in the power sector. There are different natural resources available such as hydro, wind and solar. Access to solar is reliant on private companies or public-private partnerships, yet lack of infrastructure makes it difficult for these companies to connect new customers in the hard-to-reach ‘last mile’ areas. If you see Kigali at night, with its well-lit houses and modern buildings, it’s hard to believe that only one hour’s journey from the city, people have no access to either on- or off-grid energy. One group particularly affected is young people, who without light or power find it hard to study outside of school hours, a situation that contributes to a repeating cycle of high education drop-out rates, widespread poverty and poor health. Due to its own turbulent recent past as well as ongoing local conflicts including civil wars in the Democratic Republic of Congo and Burundi, Rwanda is also home to seven large refugee camps — none of which have access to energy. According to the UN Refugee Agency (UNHCR), 62,000 children in total are attending school in these camps. Again, none of them have access to electricity. The situation is further worsened in the camps by tensions with the host communities and a lack of qualified teachers. 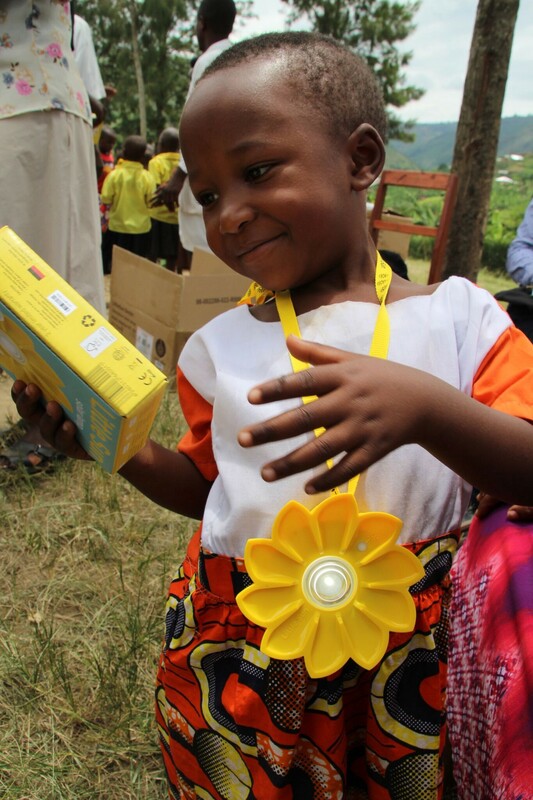 Founded by artist Olafur Eliasson, Little Sun have been producing solar lamps and chargers whilst raising awareness for energy access around the world since 2012. As a social business, we have build a strong relationship with organisations operating in Rwanda, in particular the NGO Safer Rwanda. In 2017, we launched the Little Sun Foundation to reach some of the most vulnerable communities worldwide — people living in refugee camps and school children, living in very remote areas. In Rwanda, our mission is to work with schools, together achieving the United Nations’ Sustainable Development Goal 4: Quality Education. 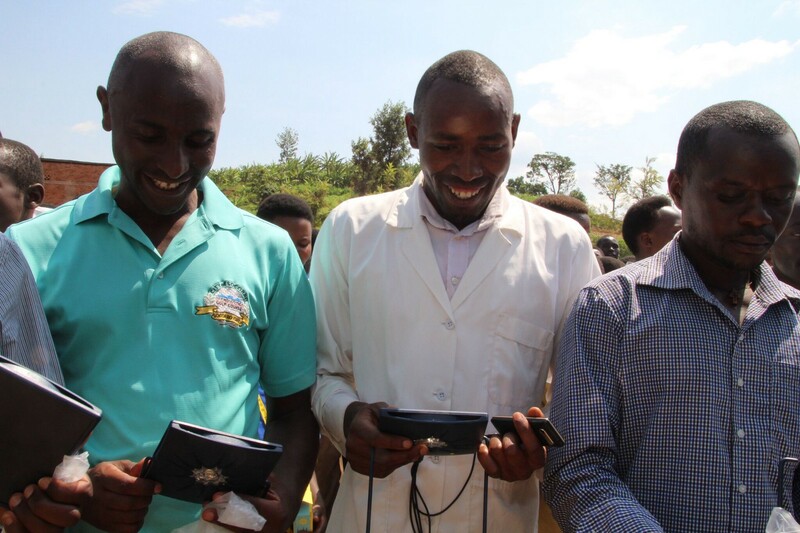 In 2016, UNESCO and Plan International started to distribute Little Sun solar lamps and phone chargers to schools in Rwanda and Safer Rwanda provided technical support, to ensure that students and teachers received the necessary training. The results were extremely positive. ‘The Solar Schools: Power to Read’ programme is simple. Schools in rural areas get access to portable, durable solar lighting and phone charging devices. Students and teachers are encouraged to take the devices home at night and use them to study after dark. Because so few people have disposable income in these areas, trusting a new technology like solar can be seen as a risk. Little Sun solar lamps are built for making energy tangible — the design makes it easy to explain the technology of solar energy. By using their new tool, the children learn about sustainable energy and how to make the most of our natural resources like the sun. In the long run, we hope this empowers them to brighten up their own future. “Me and the other teachers are using the torch of the phone to prepare lessons and revise exams. That is extremely difficult. We also do not have internet access. If there is a chance, we are trying to go to the next city to use the internet or purchase batteries,” explains Jean Nepome, 24, a teacher at Bushara Primary School, Kamonyi. But things are now starting to change. After a successful fundraising in 2017, Little Sun Foundation have supplied five primary schools in Rwanda with solar lamps. In February 2018, they visited the schools and provided training for the 100 teachers and 3,500 students from the Kamonyi District in Rwanda’s Southern Province. Speaking with the teachers at these schools individually, you quickly see the impact access to energy can have on children’s and teacher’s lives. Classes are always full at these schools and classrooms are often poorly equipped. Teachers spoke of previously having to travel long distances to charge their phones or to purchase batteries for torches. Many also live far from their families, meaning use of their phones to communicate with them also has a big impact on their personal lives and well-being. At a follow-up visit six weeks after the distribution, the Safer Rwanda team will go back to the schools in order to provide further support and training where necessary. In close collaboration with the teachers, school attendance will be monitored and the first success of the project will hopefully be seen. 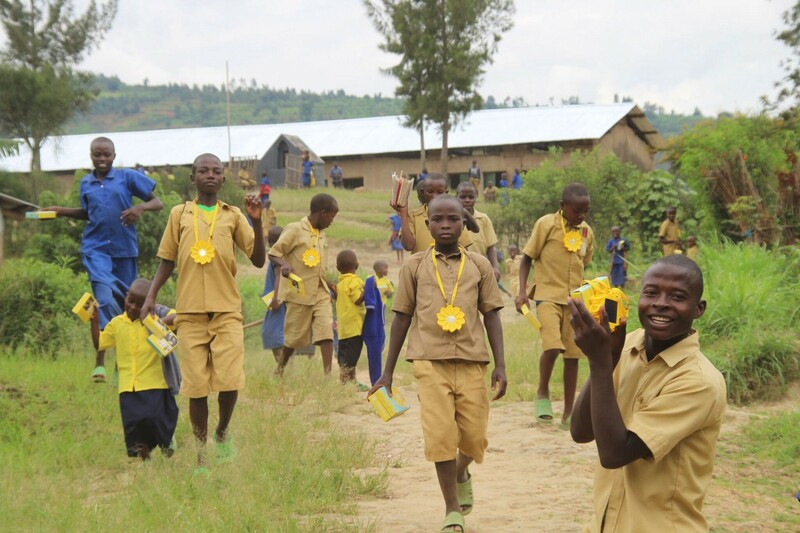 With the support of the Rwandan Ministry of Education, the Little Sun Foundation has the ambitious goal to roll out the Solar Schools programme to areas without grid access across the country, with further hopes to implement the programme across the country’s refugee camps, in partnership with UNHCR. Want to help bring solar lamps to the next school? Donate by visiting betterplace.org. Solar Schools Rwanda – Little Sun Foundation from Little Sun Foundation e.V. on Vimeo.